Attractive all steel fencing system. 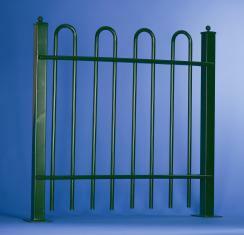 This traditional style fencing is ideal for parks and play areas. This fencing is extremely strong and durable. Childrens safety and security are uppermost in our designs.